Located on Houndiscombe Road it is situated in a relatively quiet area of the city. Its position is ideal for accessing the local amenities. The local doctors’ surgery, shops (including Drakes Circus indoor shopping complex), cafes, churches, hairdressers and the library are all within easy walking distance. The City has many interesting places to visit, including museums, art galleries, parks and the famous historic Plymouth Hoe and the Barbican area. The City provides an excellent public transport system with easy access to the main railway station. The house is light; spacious and pleasantly decorated. It enjoys far reaching views over the surrounding area from the back of the windows. There are gardens to the front and rear of the property. At the rear there is a patio area with seating available. There are two large lounges both with flat screen televisions and comfortable leather sofas. One of the lounges is double length and also houses an area with a large table and chairs. On hand are various art and craft resources as well as board games. The Kitchen dining room is large with two separate cookers and a very big dining table in the centre. There is also a small kitchenette where hot drinks and snacks can be made. There are eight bedrooms for service users at Maria skobtsova house with most of them being en-suite. There are also three staff bedrooms, an office and a medication room. On the ground floor there is an indoor smoking room. The house is large, yet all areas within easy reach with a lift serving all three floors. Kerry Goodman who has worked with our organisation for many Years manages Maria Skobtsova house. Like most of our managers Kerry has worked her way up through the organisation. 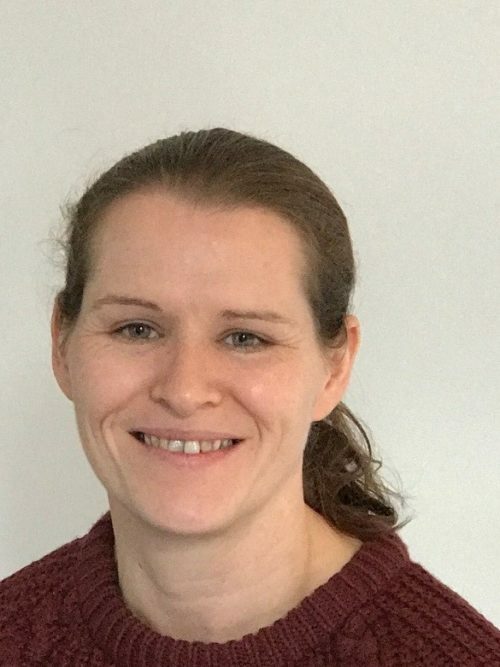 So as well as having a wealth of knowledge and experience in supporting people to achieve their potential, she truly understands the Community’s Ethos and aims. Kathryn has worked with the Community since 2015. First on shift and more recently as the assistant Manager at Maria Skobtsova House. The staff are nice, helpful and always make an effort to approach you, talk to you – all are laid back and calm. Quote from Community Resident in Maria Skobtsova House’s CQC inspection report April 2015.